Shaolin monastery. Most likely late 1800’s to early 1900’s. Chinese Shaolin Kung Fu is a martial art developed in the Honan Province of Northern China around 600 AD (many historians suggest before). Buddhist Monks developed the martial art as a means of self defense and as a discipline of the mind and body. Centuries of practice and application have formed a system unparalleled in combat as well as mental and physical development. Many of the monks in the Shaolin temple were retired soldiers and generals. Under the pressure of frequent attacks by bandits, the Shaolin monks combined Bodhidharma’s teachings with the martial arts techniques of the Chinese warrior class to create a unique and highly effective method of combat. The development and refinement of these combined techniques gave the Shaolin warrior monks a far-flung reputation for martial arts prowess and fighting abilities. The Fukien temple became the second temple of Shaolin around 650 A.D. Through the centuries, the fortunes of the Shaolin monks rose and fell with the political and dynastic changes of Chinese history, and other temples became part of the Shaolin system. With their superb fighting skills, the Shaolin monks were alternately courted and renowned by those in power who wished to have the monks on their side, or vilified and suppressed when those who feared them came to power. The temples were burned and rebuilt, burned and rebuilt, but the knowledge of the art survived while the monks continually added to and improved upon it. For the most part, the temples prospered, becoming widely known as centers of learning and philosophy as well as martial arts. Gaining admission to the temple was difficult. Young students were expected to wait outside the temple gates for what must have seemed an eternity to them while their temperament and attitude was observed by the monks. Once admitted, they endured years of service and menial chores before being accepted as disciples. Once accepted, they would receive an unparalleled education in philosophy, fine arts, and the martial arts. In order to graduate from the temple, they had to exhibit phenomenal skills, and pass through 18 testing chambers. If they survived the first 17 (and there were those who did not), they would have to grip a burning-hot iron cauldron with their bare forearms, which would brand them with the raised relief of a tiger and a dragon. For hundreds of years, the Shaolin masters developed new styles and forms of combat, bringing back to the temples variations and innovations in the martial arts that they had encountered in their travels. Their arts flourished in the temples during the Ming Dynasty. But this golden age did not last. In the mid 17th century, Manchurian invaders began to systematically and brutally take control of China. Internal rebellion contributed significantly to the fall of the Ming Dynasty, and the betrayal of an insider was the cause of the almost utter destruction of the Honan temple in 1647 A.D. 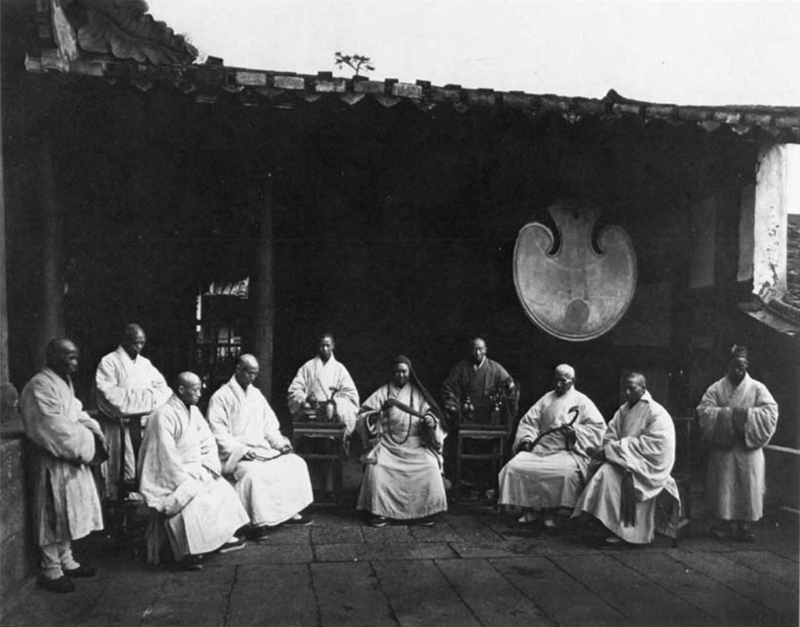 Many monks fled to the Fukien temple, where they continued to support the resistance fighters. This, in turn, led to the destruction of the Fukien and other temples and the outlawing—punishable by death—of the practice of Shaolin Kung Fu. Outlawed, the Shaolin continued to teach in hiding and in exile. It took many years before the temples were reopened in the early 1800's, and even then, they could be used only for religious purposes. The disastrous Boxer Rebellion of 1900 caused another wave of escaped resistance fighters, many of whom were Shaolin monks. They scattered to the United States, Australia, Korea, Indonesia, and other countries. The third burning of the Shaolin temple happened in 1927. In recent years, the government of China has come to realize the importance of the cultural heritage of Shaolin, and reopened the temples.